While the name itself is fairly self-explanatory, you’d be surprised by the amount of vacant expressions you’ll see when it’s mentioned. Motor Legal Protection is designed to help you in the event of a motor accident that was not your fault. You may also hear it being called legal expenses or uninsured loss recovery insurance, but there can be some variations in the amount and type of cover they provide. Motor legal protection will help pay for the legal costs of recovering expenses following a non-fault accident. This may include helping to reclaim losses as a result of vehicle repair, personal injury, loss of earnings and policy excess, though this list is by no means exhaustive. More comprehensive motor legal protection packages offer vehicle hire as well as related benefits, such as prosecution defence or licence disqualification, which can really help you back onto your feet, even if you’re off the road. Everyone is entitled to claim back uninsured losses. However, doing it alone, you would personally have to negotiate figures and policy details, keep track of everything, and generally spend a large amount of your own time and effort. With motor legal protection, you can rely on a legal professional to do all of that for you. Their pursuit of your claim will make the process of getting back to the position you were in prior to the accident relatively hassle-free. Essentially, motor legal protection makes life easier for you as a driver, providing important peace of mind in knowing that your uninsured losses will be recovered. Worryingly, many companies offering free motor legal protection show a preference for personal injury claims and dismiss other claims. As buyers, you should be aware of these shortfalls prior to purchasing such a product. Instead, shop around to find more comprehensive, better value for money packages. It can seem all too easy to be lured in by ‘no-win, no-fee’ type companies advertising free services, who seem to offer a great, low-cost alternative to what is normally quite an expensive product. However, in reality, these clever companies tend to take a chunk of your compensation before the seemingly ‘full’ sum is deposited into your bank account. The benefit of purchasing motor legal protection insurance means that you do not fall victim to these companies, therefore ensuring that your payout is not compromised in any way. And the same caution should be applied to more established insurance companies – all too often, high commission rates are added on to motor legal protection packages boosting up the price but not necessarily the cover. But there is some good news after all. If people are prepared to shop around and compare, there are some extremely affordable, good-quality policies available on the market which can help provide that peace of mind in the event of an accident that was not your fault. 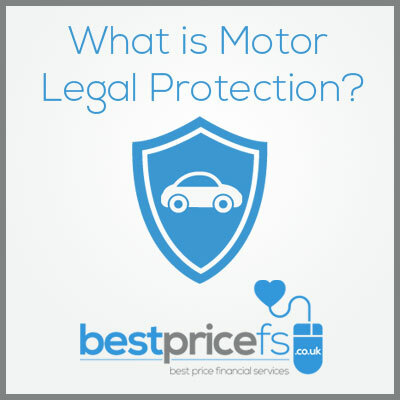 Best Price FS is one of the cheapest providers of motor legal protection cover, delivering the most comprehensive uninsured loss recovery in the UK.